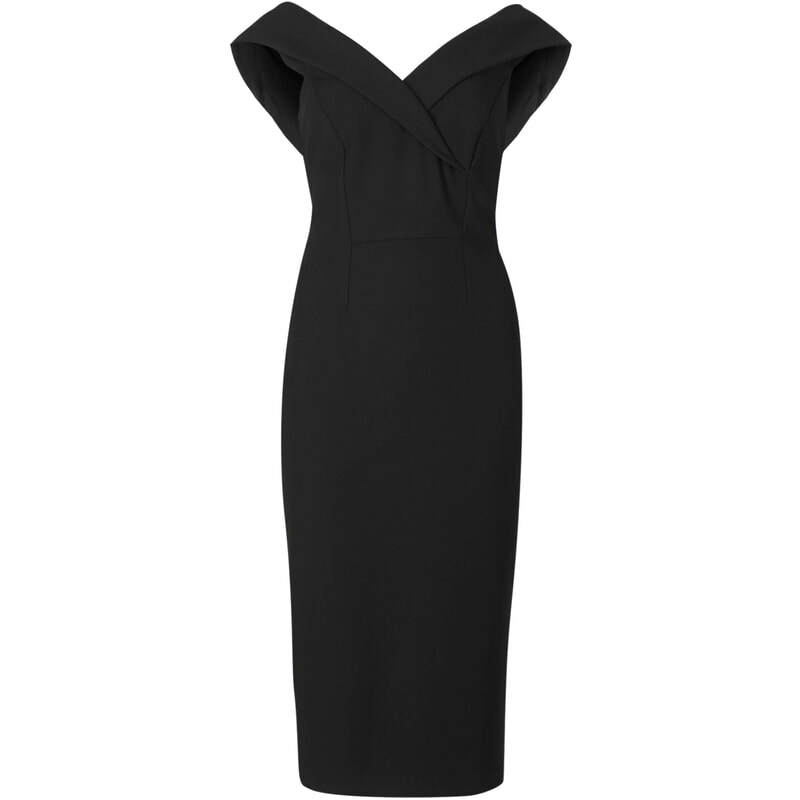 A black bodycon dress from Marks & Spencer with added stretch in the double crepe material to hug your curves. 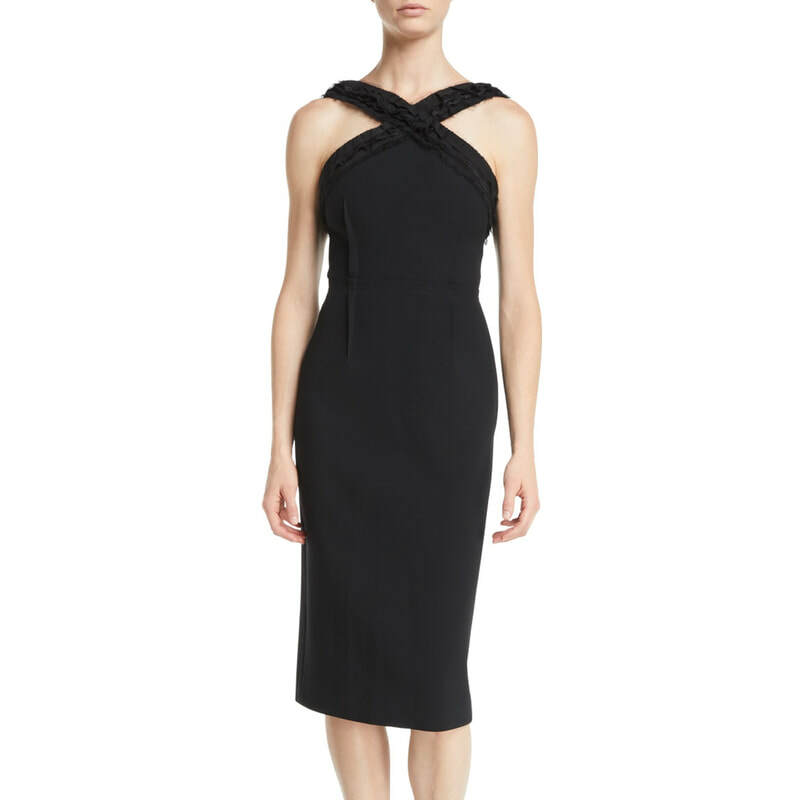 An elegant off-shoulder neckline folds down the bust to create a truly stunning piece. 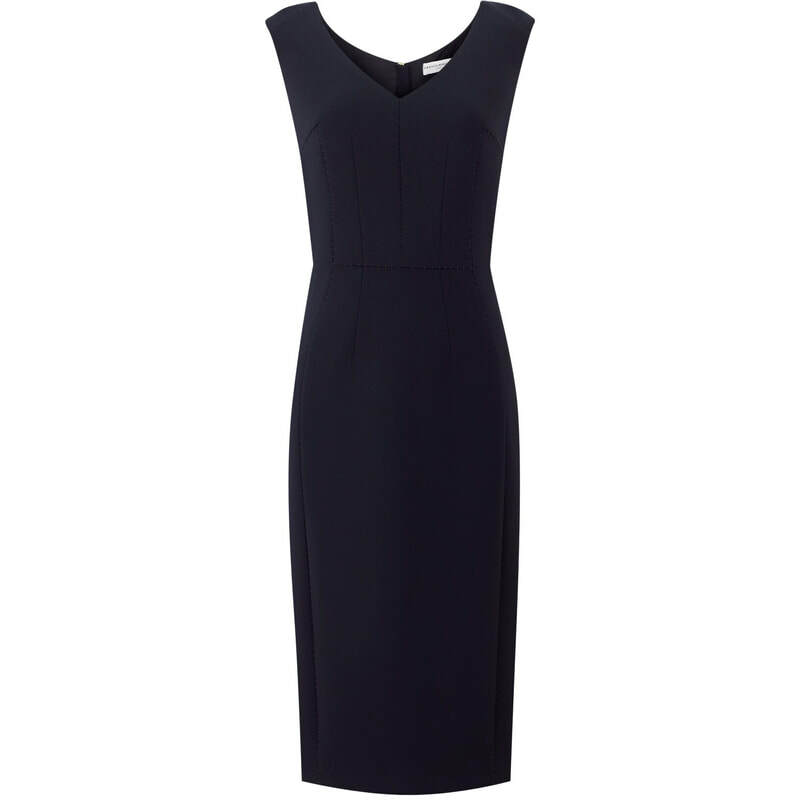 Back zip fastening.